Please call 1-800-510-6468 to have a representative consult you on this item. The Latest Era of Gold Pandas Continues! 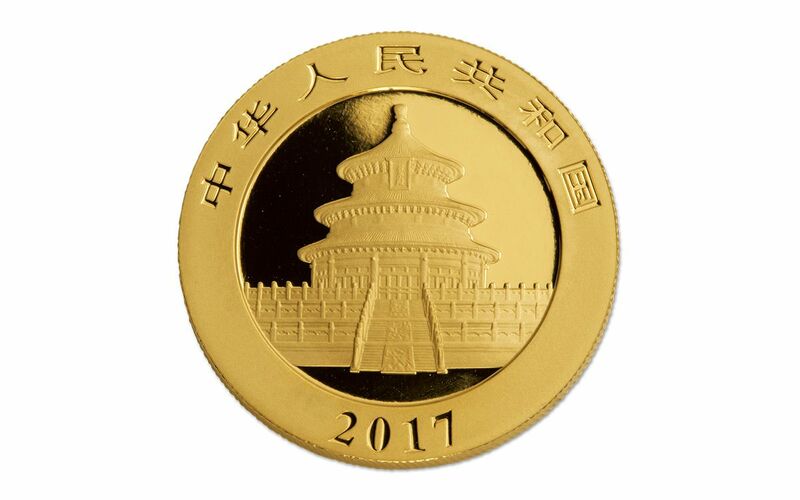 Each year, China releases Gold Panda coins -- and millions of collectors and gold lovers around the world swarm the market for them. 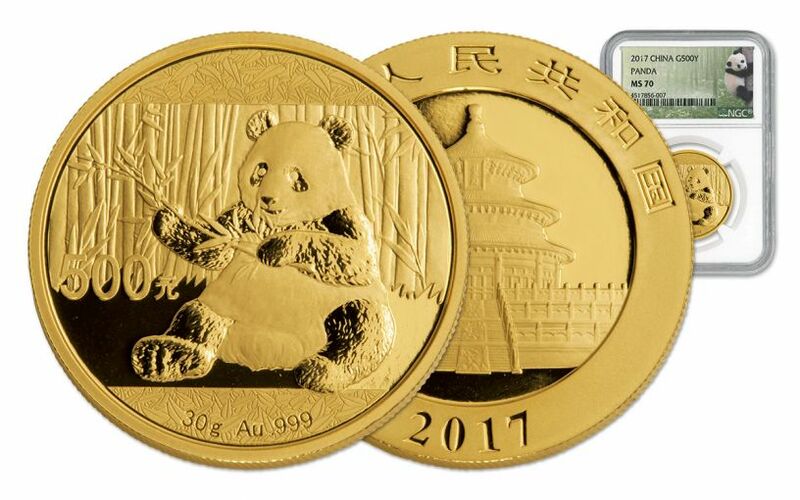 Then in 2016, something massive happened, and the market saw what might have been the greatest level of demand ever for Gold Pandas. For the first time ever, they were struck in metric grams rather than Troy ounces! But what made them so popular in the first place? 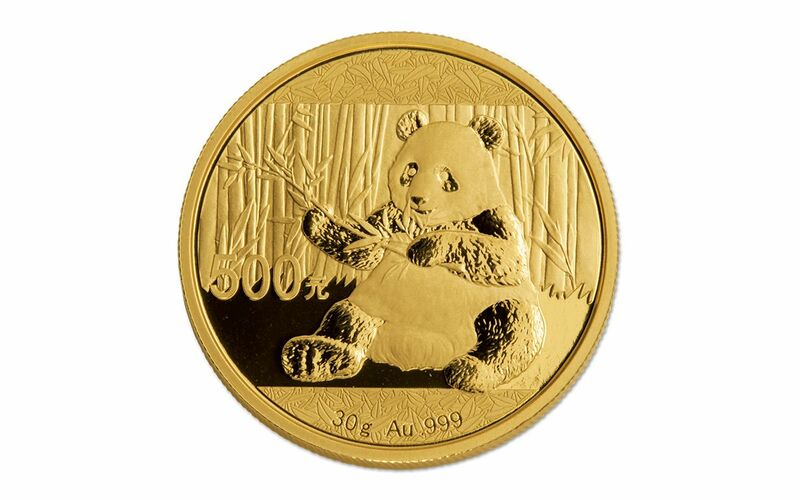 Maybe it's because each of these Gold Pandas is struck in 99.9% pure gold. Maybe it's because they're legal tender -- 500 Yuan to be exact -- something discerning collectors are always careful to note. Maybe it's nothing more than their incredibly collectible one-year-only designs, like this 2017 design featuring a panda sitting happily in front of a forest of bamboo, ready to enjoy a tasty snack! 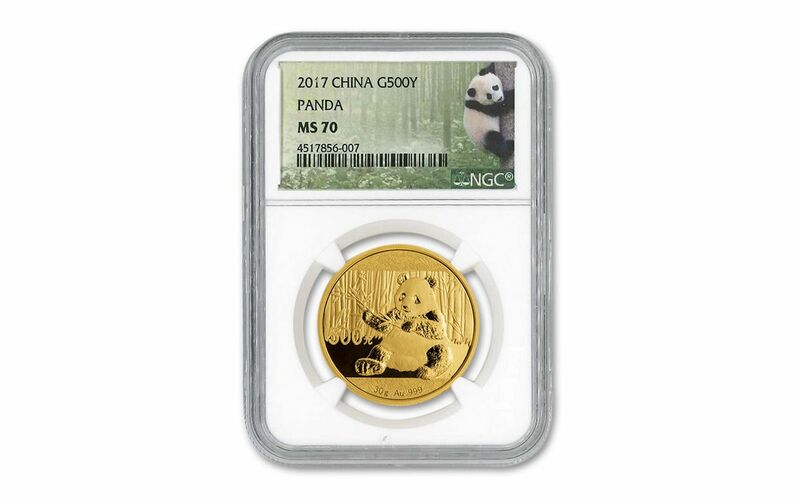 Whatever the reason, both foreign and domestic demand has never been higher for these beautiful gold coins, and now you have the chance to add one or more of these 2017 Gold Pandas to your collection in perfect Mint State-70 (MS70) condition, graded and certified by Numismatic Guaranty Corporation (NGC). Order yours today!